Forecasters predict between 2 and 4 inches of rain for most of the Bay Area. A storm expected to hit the region has prompted the National Weather Service to issue a Flash Flood Watch for parts of the North Bay. The warning is in effect until late Friday in Marin, Napa and Sonoma counties. A wind advisory was issued on Friday at 4 a.m. for all Bay Area counties and is scheduled to last through 4 a.m. Saturday. The "Pineapple Express" storm is expected to hit the North Bay first and work its way south into the rest of the region by Friday in time for the morning commute hours, weather service officials said. By 5 a.m., light sprinkles hit Tiburon. The rain will be particularly strong on Friday, persist into the afternoon commute and continue into the night, according to the weather service. In the Bay Area windy conditions between 20 to 30 mph started on Thursday night and gusts could reach speeds of more than 40 mph later that night into Friday, weather service officials said. Up to 50 mph winds are forecasted at higher elevations from Thursday night through Friday, according to the weather service. Thunderstorms are also forecasted for Friday afternoon and evening, according to the weather service. The combination of rain and gusts increases the chance of downed trees, power outages and hazardous roadways, according to the weather service. A break in rainfall is expected Saturday before a second storm system arrives Sunday through early Monday, weather service officials said. Crews spent Thursday clearing storm drains in preparation for a Bay Area storm. Mark Matthews reports. The coast and North Bay are expected to see between 3 and 6 inches of rain by Sunday, with isolated areas in the North Bay potentially exceeding 9 inches, according to forecasters. Between 2 and 4 inches of rain is predicted for most of the Bay Area, forecasters said. 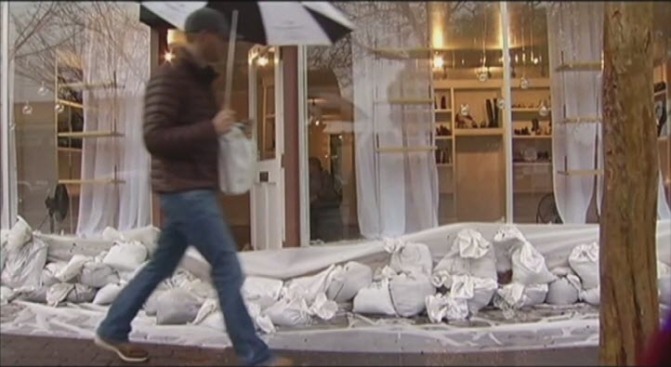 Crews from the San Francisco Public Utilities Commission are also planning to distribute sandbags for city residents in areas that are likely to flood, SFPUC officials said. Free sandbags are also available to pick up at the city's Department of Public Works operation yard at 2323 Cesar Chavez St. located just east of U.S. Highway 101 in the Potrero Hill neighborhood. 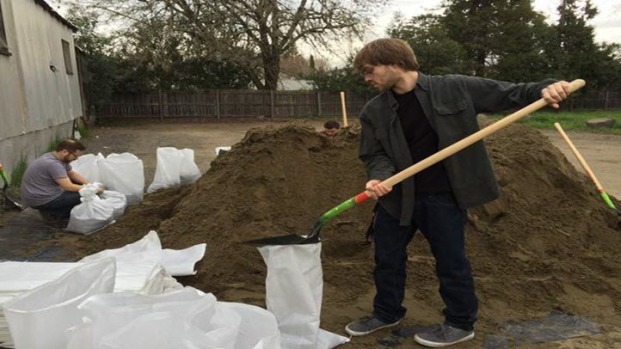 Each household is limited to 10 sandbags and people are required to provide proof of residency. 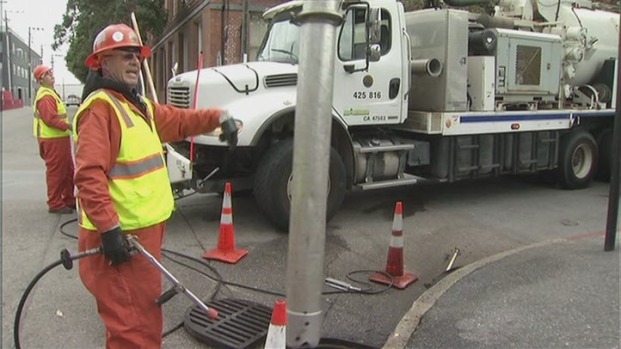 SFPUC officials said today that crews have been cleaning catch basins and sewers throughout the city to downsize street flooding the storm may bring. Weather service officials also issued a small craft advisory for Monterey, San Mateo and Santa Cruz counties. A storm expected to fall throughout the Bay Area starting on Thursday has prompted the National Weather Service to issue warnings for flash floods and small watercrafts. The U.S. Coast Guard is calling on boat owners to make sure their watercrafts are secured during the store. Any boats that aren't properly moored could break free into the water, possibly releasing fluids or chemical posing an environmental hazard, according to the Coast Guard. "We strongly urge the public to make preparations for the upcoming weather system," said Capt. Greg Stump, commander for the Coast Guard Sector San Francisco, said in a statement. Release of Suspect in Body Parts Case "a Shame"
unpredictable and catch mariners off guard. It is extremely important to be aware of broadcasted weather warnings prior to taking to the water," Stump said.